June 26, 2018	Eddie Villanueva Jr.
You are one ugly motherfu- oh, hi there! 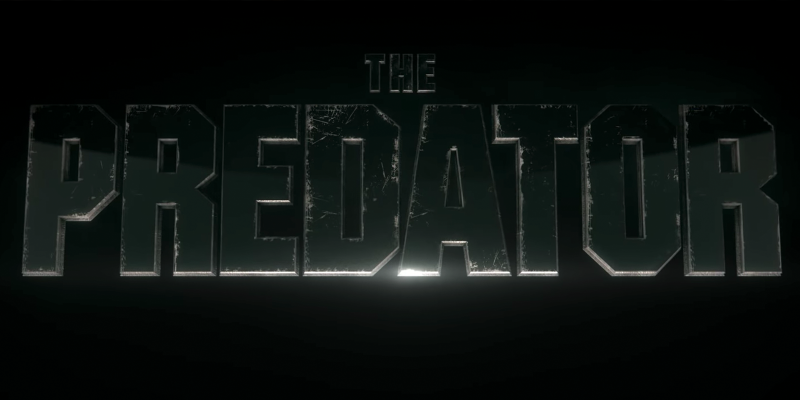 The time has come, fans of nostalgia; the official trailer to Shane Black’s The Predator is here! If you haven’t heard, Shane Black -the original director to the 1987 classic- is back to direct a sequel true to the spirit of the original. Fans have speculated much about the sequel since the franchise has gone in several directions over its lifetime. The creature has gone from facing off with a xenomorph to facing off with Adrien Brody. So needless to say, fans are a bit skeptical. The Predator is a sci-fi blast from the past, where from the outer reaches of space to the small-town streets of suburbia, the hunt comes home. Now, the universe’s most lethal hunters are stronger, smarter and deadlier than ever before, having genetically upgraded themselves with DNA from other species. When a young boy accidentally triggers their return to Earth, only a ragtag crew of ex-soldiers and a disgruntled science teacher can prevent the end of the human race. What do you think? Are you excited about the film? Let us know your thoughts in the comments below!